Ready to walk through time? Calling all history enthusiasts! Bowery Boys NYC History Walking Tours is bringing the fun of the hit Bowery Boys Podcast into the streets. Join us, and get ready to walk through time. Ready for a different kind of walking tour? Our small-group walking tours offer something new... they're intimate, educational, and fun. They've been developed by Tom and Greg, hosts of the Bowery Boys Podcast, in tandem with professional, licensed tour guides in New York City. 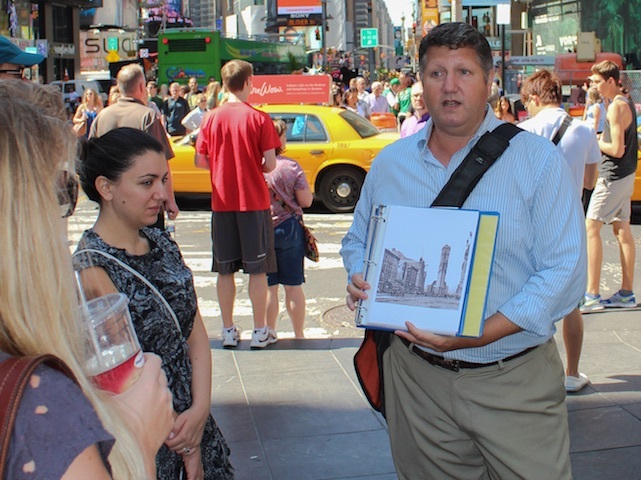 Whether you're exploring the history of Broadway, 19th-Century NoHo, Cast-Iron architecture, or Central Park, our team of expert guides will make sure that you leave your tour enlightened and entertained. The Bowery Boys Walking Tours take you through the streets and back alleyways of New York City's history. 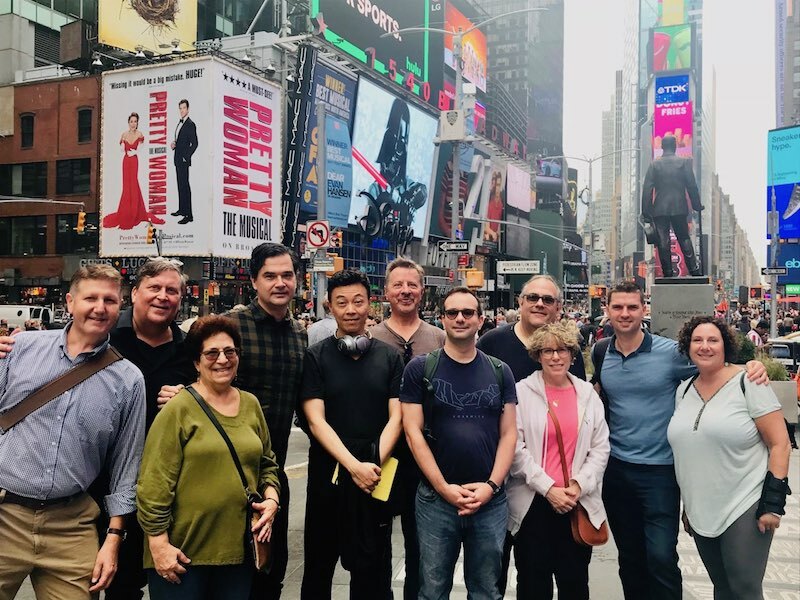 Our professional, licensed tour guides work with the Bowery Boys to develop walks around popular episodes from the podcast. 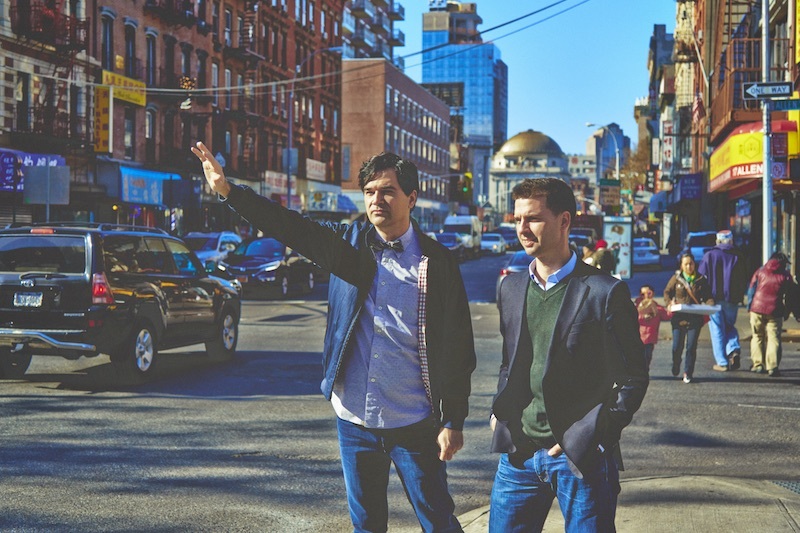 The Bowery Boys NYC History podcasters, Greg Young and Tom Meyers, have been entertaining their audiences with tales of New York since 2007. Now they're taking their stories to the streets, with Bowery Boys Walking Tours developed by the Bowery Boys along with expert tour guides. 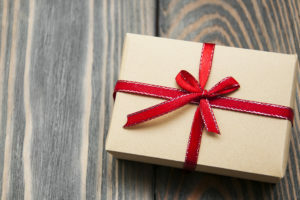 Give a Bowery Boys gift card! Give the gift of history! With a Bowery Boys Walking Tours gift card, the recipient can choose the tour and dates that work best for them. We'd love to have you join us on an upcoming walk!